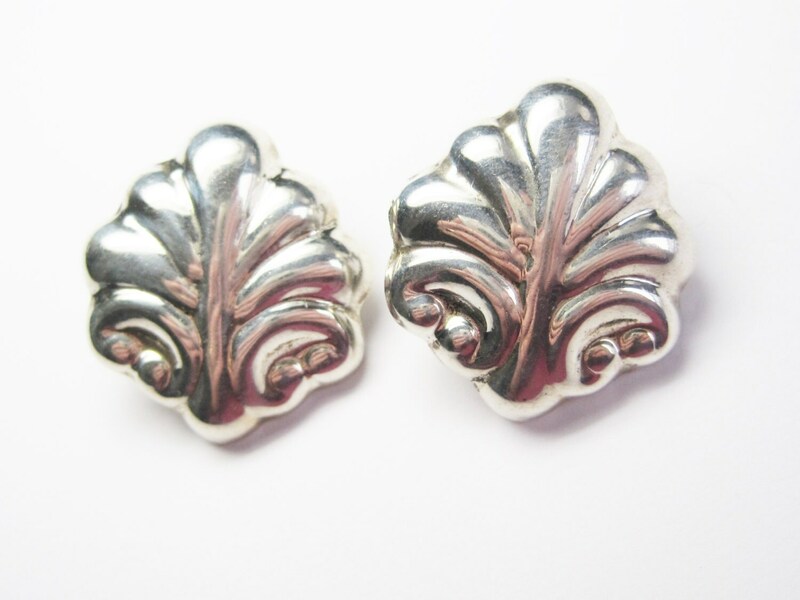 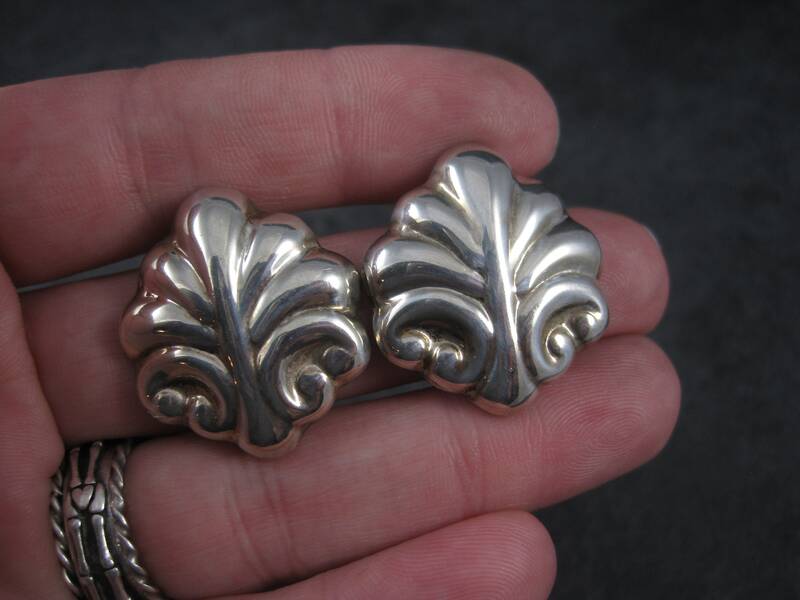 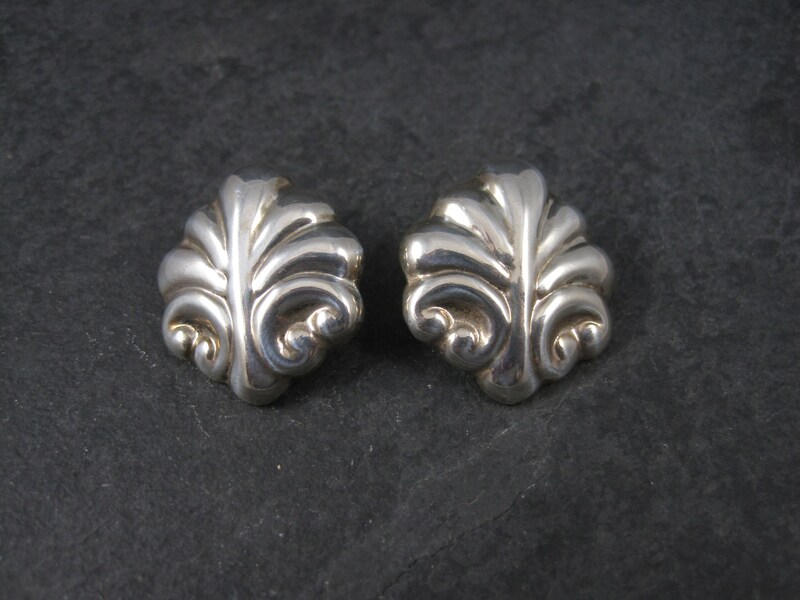 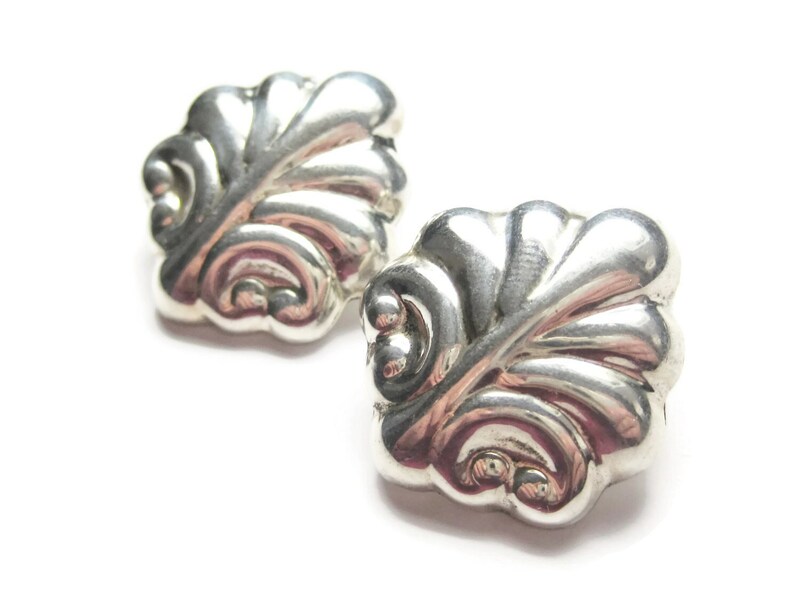 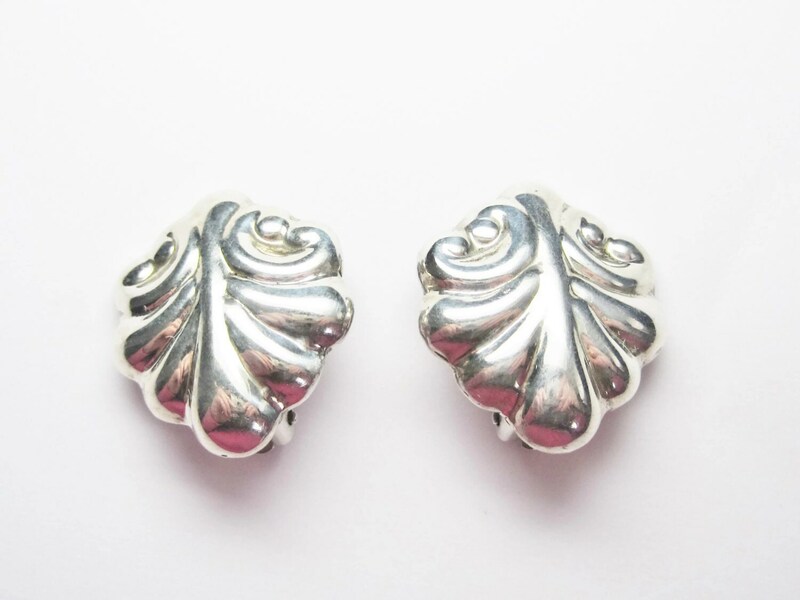 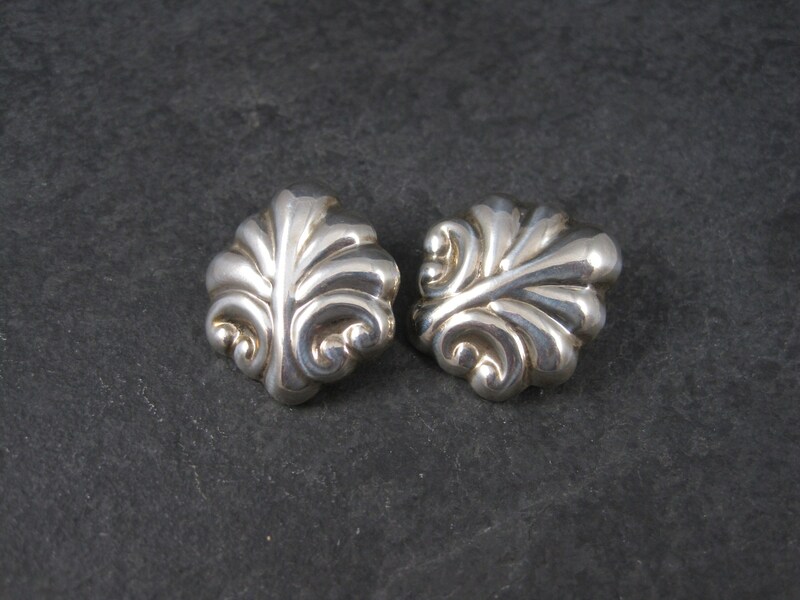 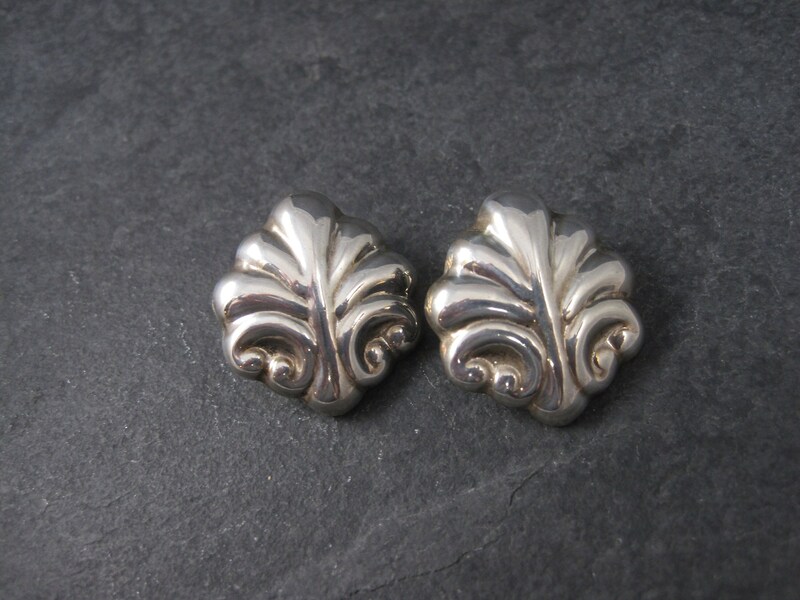 These gorgeous vintage sterling silver earrings feature a leaf-like design. 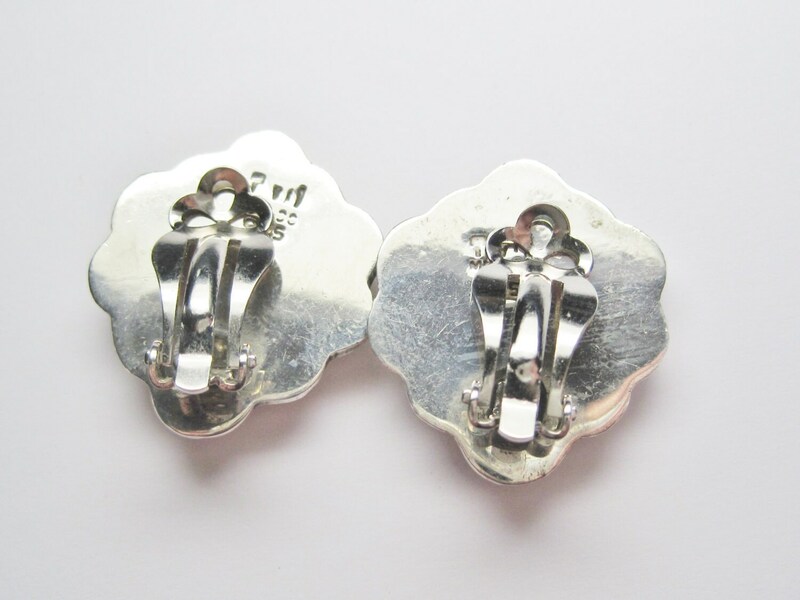 They have clip on backs. 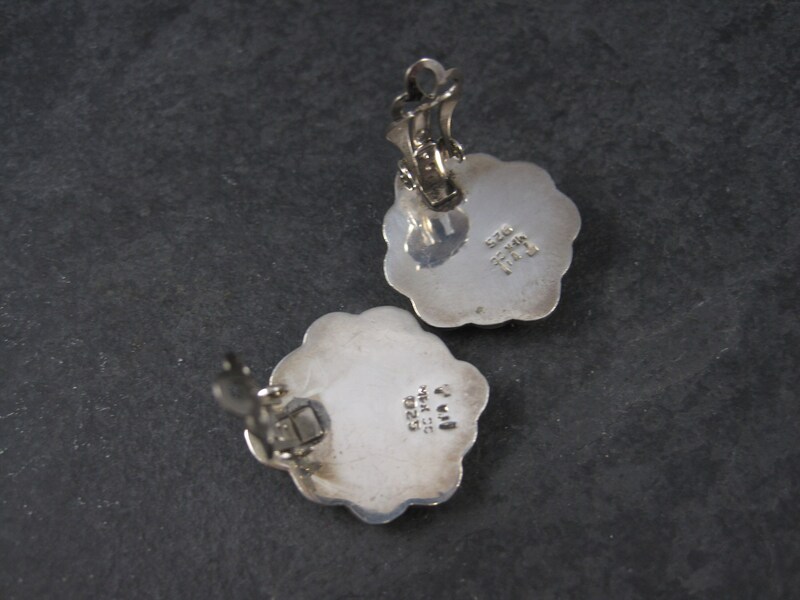 Each measures 1 by 1 inch. 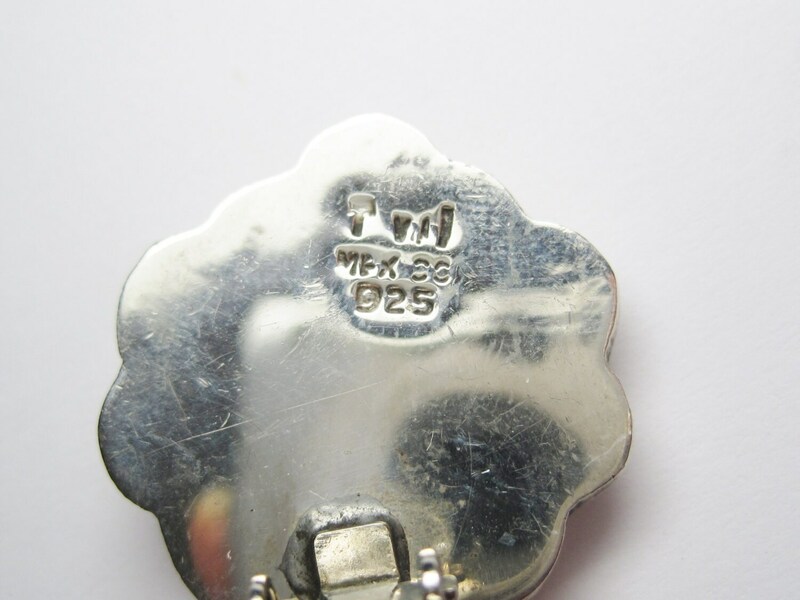 Markings: Mexico, 925, makers mark.